Same day express print prices follow. These prices are for printing on luxurious 130gsm Gloss. Luxury Material: For an extra charge, we can also print on 170gsm Gloss, 170gsm Silk, 160gsm Matt. See Postcards if you require your leaflets/flyers to be printed on heavier material. 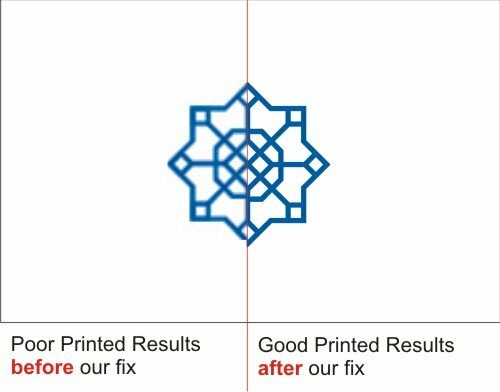 Taking a proof from a previous printer/design, a photograph of your leaflet or a leaflet you like the style of, a scan or even a sketch. The minimum we require is the details you want to place on your leaflets. If you don't have a design (artwork) or an incomplete design (artwork) then send us whatever you have got. This can be a proof from a previous printer/design, a photograph of your leaflet or a leaflet you like the style of, a scan or even a sketch. We are the cheapest Same Day Leaflet/Flyer printers in London. Same Day Leaflets: 50 start at £19, 100 start at £20, higher quantities not much more. Your leaflets/flyers could potentially be produced in as little as 20mins to taking a few hours to produce. The more time you give us, the cheaper it gets. We also offer next day printing services.